Contemporary, compact, distinctively styled and elegant aesthetics. 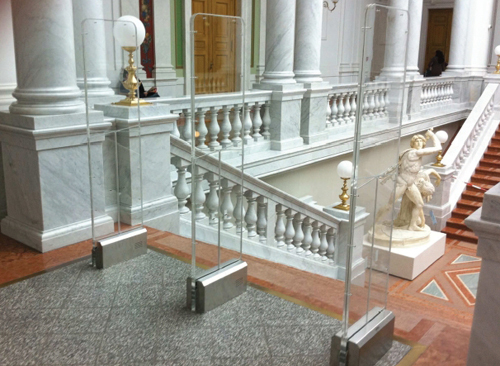 The Lib-Chip security system provides outstanding RFID tag detection with a maximum of pedestal spacing. 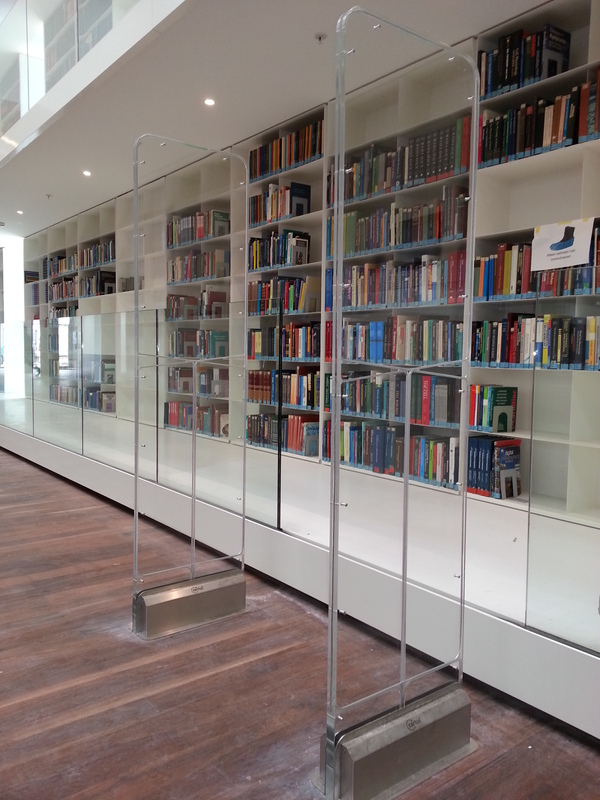 This performance advantage is a key benefit in providing the maximum open access at library entrances. Easy on the eye, and simple to install, high quality construction ensure a long and trouble-free life of impeccable service in the most demanding of environments. 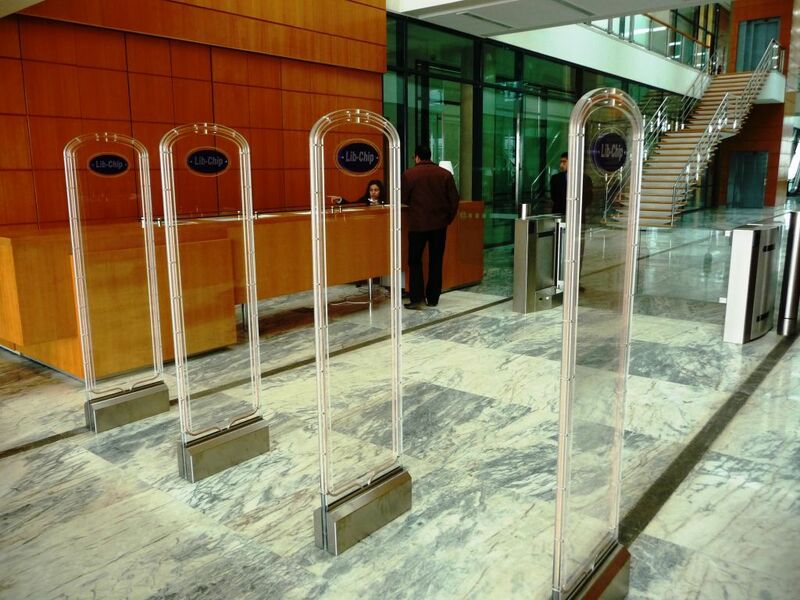 With advanced control systems and low power consumption developed from extensive international client experience, Lib-Chip security pedestals set the standard in detection, reliability and modularity. 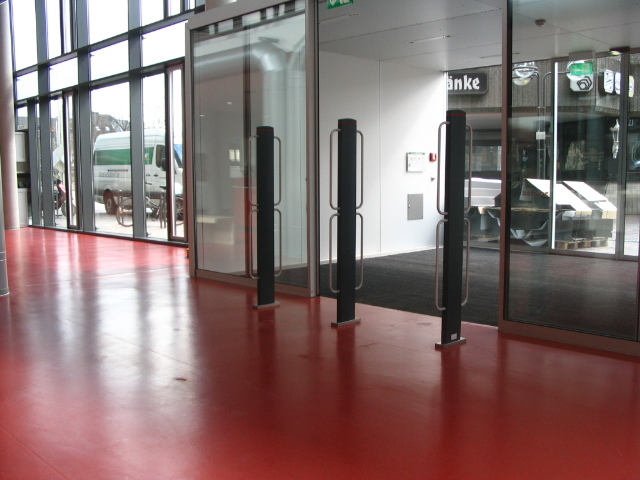 Software is not required for Lib-Chip security systems to operate and when someone walks through the security antennas with a library item that is not checked out properly an acoustic and optical alarm will sound. Now you know there is an item missing in your collection, but it would of course be better to know which item. in conjunction with our Lib-Track manager software, enhanced reporting is available. Through this feature you will be able to see in a database which library item has caused an alarm. This means you will be better informed on what happens in your library and what is the status of your library items.